Ukraine-based PrivatBank has developed an ATM that uses NFC to “significantly reduce” product costs by eliminating the need to include a pin pad, screen and other user interface features. The headless ATMs work in conjunction with the bank’s Privat24 Android app, which is linked to customers’ cards and account. To withdraw cash, they tap their NFC phone to the ATM and enter on their phone the amount they wish to withdraw along with their PIN. 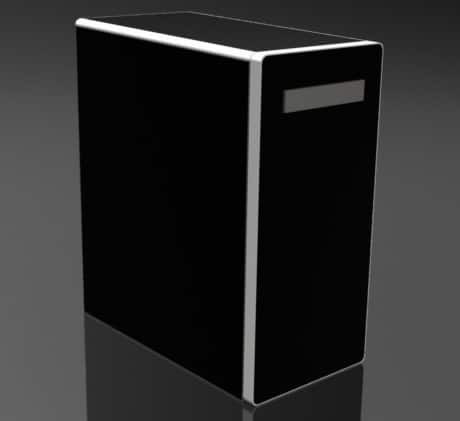 A working prototype of the Black Box ATM is currently in use at the bank’s offices and the bank plans to put the new design into production during the first quarter of 2014. We believe the La Caixa and other offerings are regular ATMs with NFC added, which is fine but not the point this addresses. However, we haven’t come across the Itautec headless ATM before, and that looks really cool. The video is well worth a watch. I still believe that La Caixa offering is better. It allow to serve existing customers (with magnetic stripe and chip cards), while also allow geeks to test-drive new tech. Headless NFC-only ATM is not customer friendly, as it leave no choice to customer, but force them to obtain, configure and use NFC-enabled devices. Contact Privatbank and ask how many customers already have software and hardware needed for their headless “black box”. I am sure it will be very small percentage. In same time – nearly 100% of customers have Visa/MC card with magnetic stripe. But “black box” will not be serving them.